This article covers Selling property, target marketing, preparing your home for the marketing process, deciding on the value of your home, how to view your home, accepting offers and how to sell property fast. When thinking about selling your home there are a number of things to consider, even before making a decision about who to choose to market your home. Looking at the local property market is the starting point. The UK property market is diverse and depending where you live in the Country and the location in the region in which you live will have an affect on property price, the ease of selling and the potential market for your home. The local economy, employment rates and demographics will affect the house prices and numbers of potential buyers for your property. A local Estate Agent will advise you on saleability within the local property market. 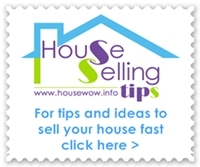 The next in selling your property quickly is to consider your target market. The property market in the UK has homebuyers with unique inspiration for their next home and their requirements for that home vary widely as much as location and type of property. Consider who might buy your property? Then try to tailor your space to appeal to the main group while not alienating other groups that might also be interested. So if you feel a professional couple would be ideal, then turn the 2nd bed/office back into a bedroom and make a space for a workstation elsewhere in the house. This will ensure the house still appeals to a young couple with a small child.